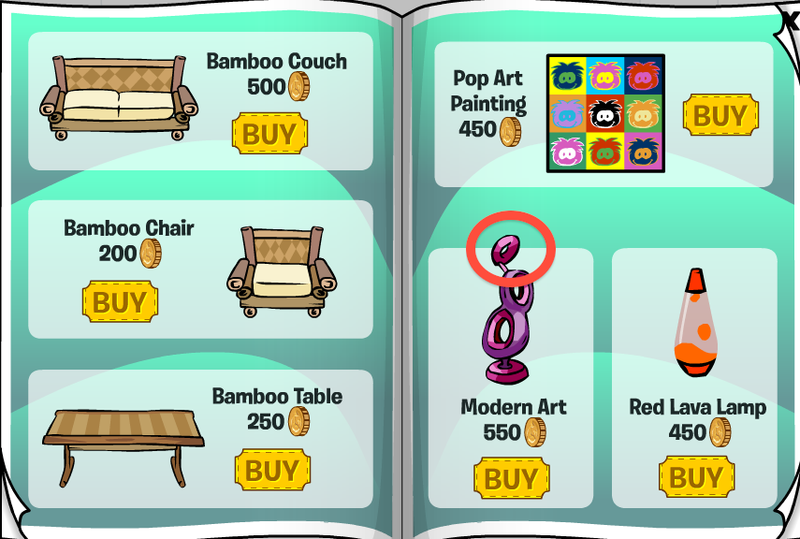 Club Penguin Cheats by Mimo777 Club Penguin Cheats by Mimo777: 2010 Club Penguin Cheats for September/October Furniture Catalog! 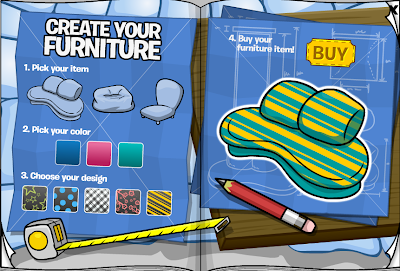 2010 Club Penguin Cheats for September/October Furniture Catalog! 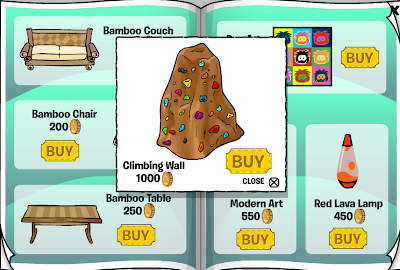 There is a new Better Igloo Catalog. Woot! Step 4. Click on page 2 in the catalog. Step 5. 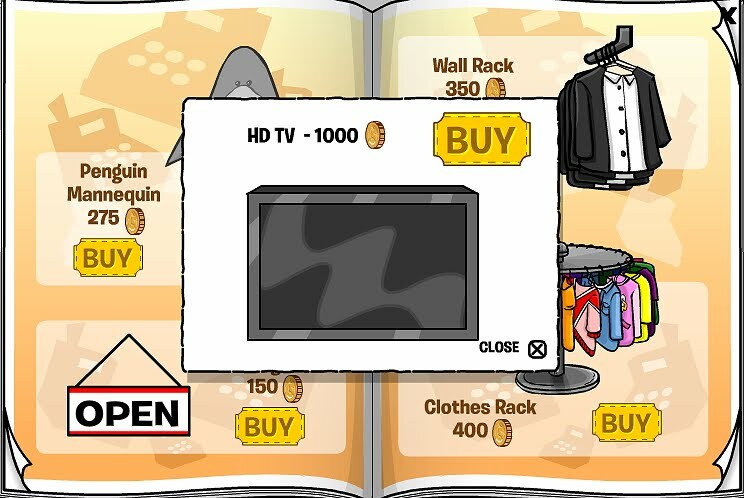 Click on the Computer Mouse. 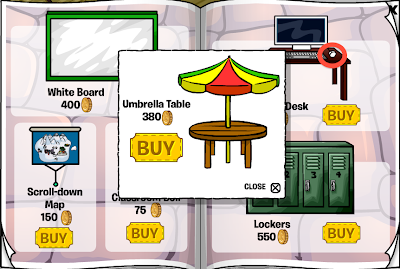 You now have the Umbrella Table cheat! Step 5. 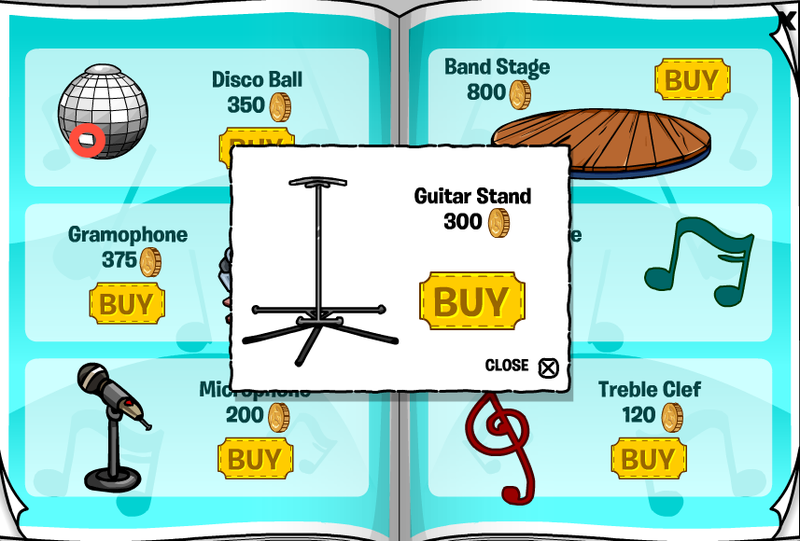 Click on page 3 in the catalog. Step 6. 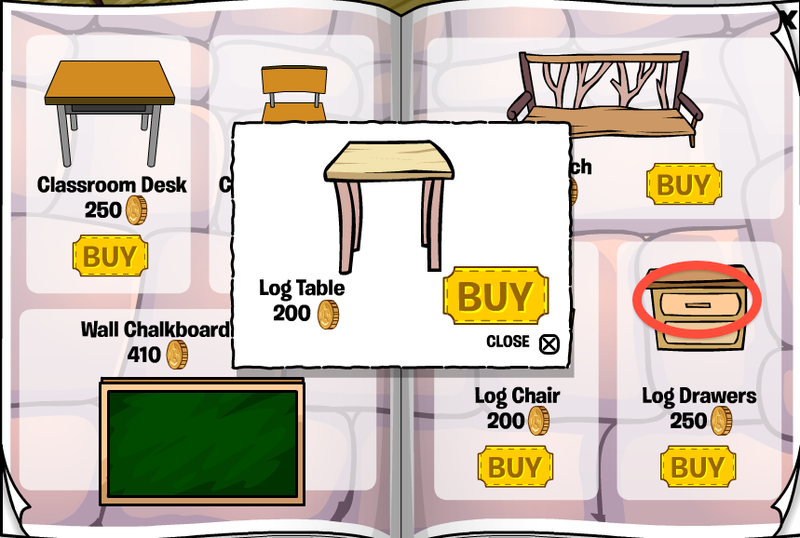 Click on the Log Dresser drawer. 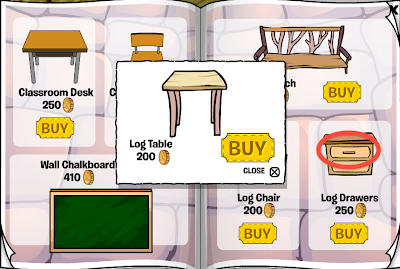 You now have the Log Table cheat! Step 7. 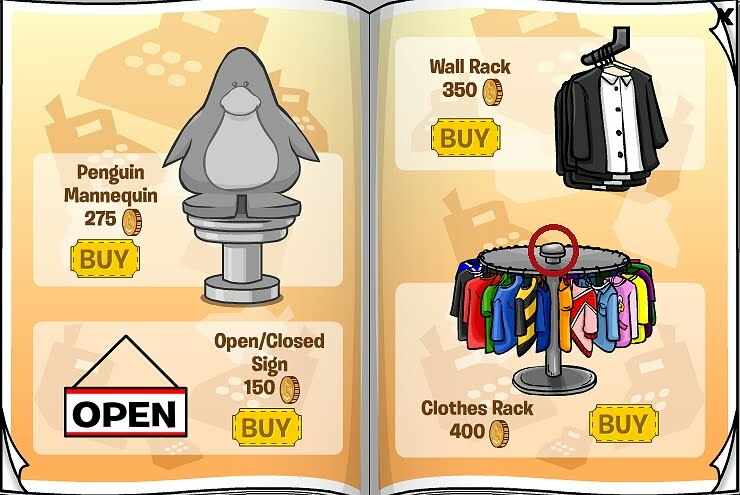 Click on page 4 in the catalog. Step 8. 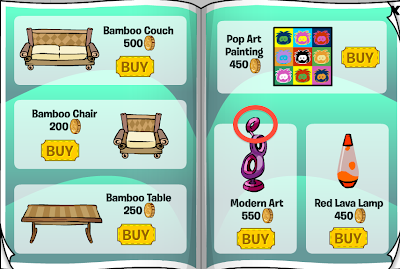 Click on the Modern Art. Step 9. 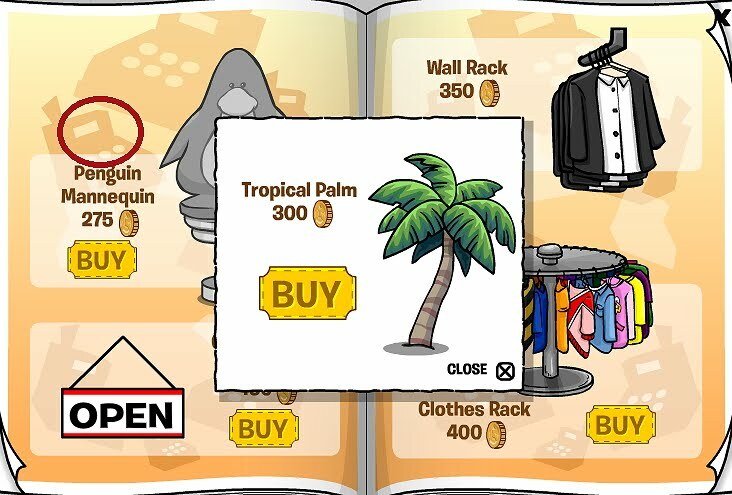 Go to page 5 in the catalog. Step 10. Click on the wall speaker. Step 11. 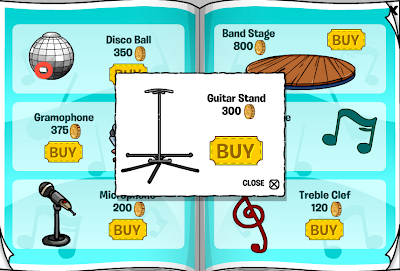 Stay on the 5th page in the catalog. Step 12. 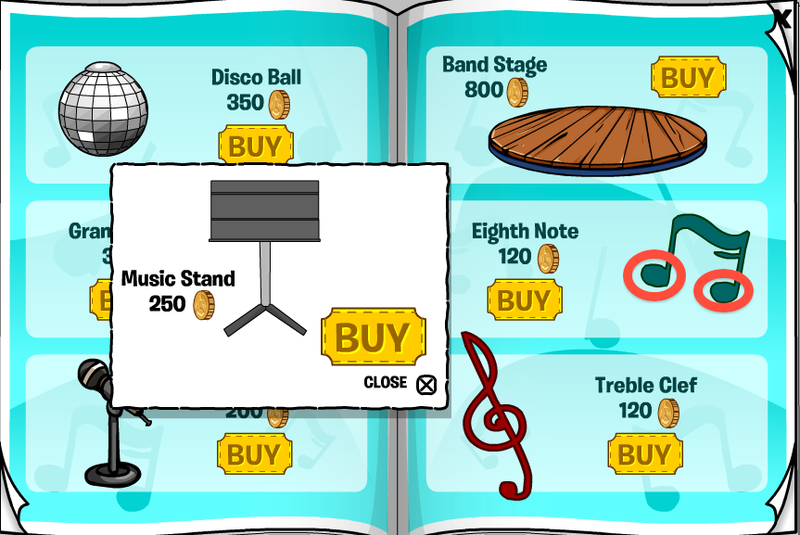 Click on the top of the DJ Table. Step 13. Go to page 6 in the catalog. Step 14. 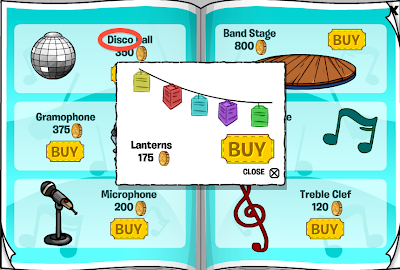 Click on the Disco Ball. Step 15. 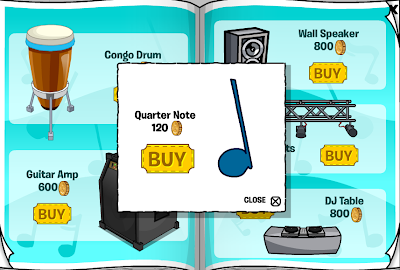 Stay on page 6 in the catalog. Step 16. 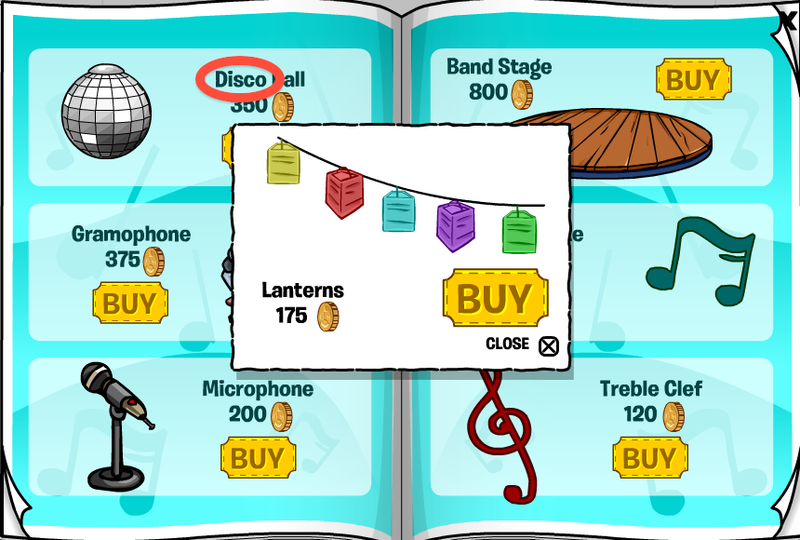 Click on the word "Disco." 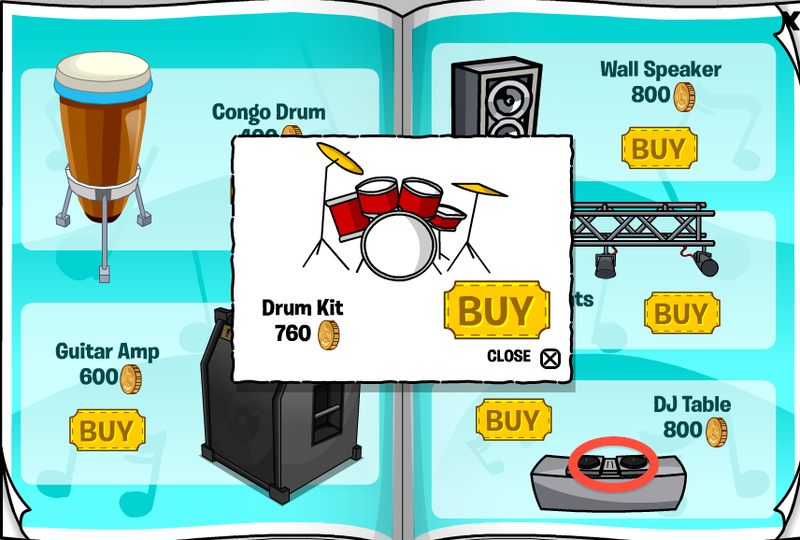 Step 17. 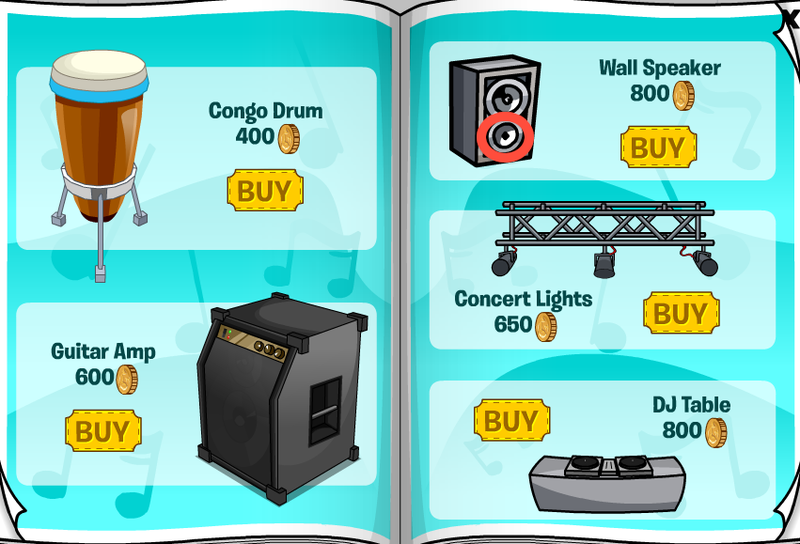 Stay on page 6 in the catalog. Step 18. Click on the Eighth Note. Step 19. 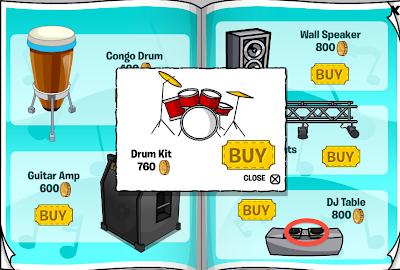 Go to page 7 in the catalog. Step 20. 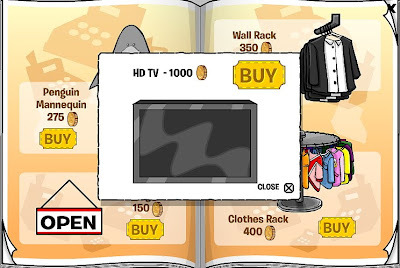 Click on the Cash Register. Step 21. Stay on page 7 in the catalog. 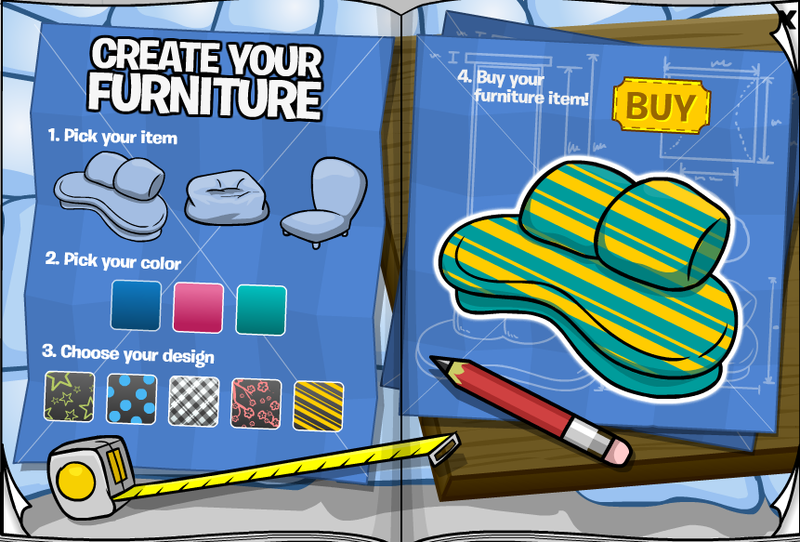 Step 22. Click on the top of the clothes rack. 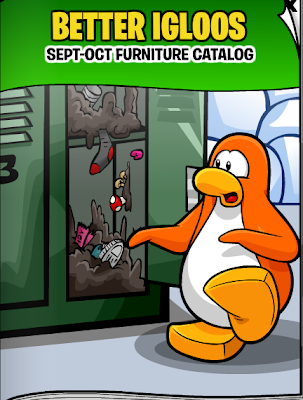 You have now found all the cheats in the September/October Furniture Catalog! Wha? That's it? I do like all the cool stuff for "Igloo School" though, don't you? No comments to mod yet!! IKR. The map is AMAZING. OMG I LOVE U MIMO UR CHEATS R SOOO AWSOME!!!!!!!!! The time says all, Morton. ive got a feeling there are going to be ALOT of collages on CP. try to keep the caps and exclamation marks down. your hurting mimos ears! Mimo,this might mean that Club Penguin is turning educational.OH NO!